Lock in a Vik I Myrdal vacation package on Expedia right now! This is one of the best ways of saving money and time for your awesome adventure. Smart travelers can earn savings of up to C$590* by securing a combined package deal on Expedia. With more than 400 partner airlines and 321,000 properties to pick from on our international database, you won't have any trouble creating your dream vacation. You can delay your vacation bookings with us because we do not charge cancellation fees for almost all of our reservations. Itinerary need a little padding? Vik I Myrdal vacation all arranged but unsure what to expect when you get there? Let us make it simple. Grab some cheese, crackers and a bottle of vino and make your way to Black Beach. It's one of the most picturesque spots in the surrounding region for a leisurely picnic. Travelers in this destination are spoilt for choice. Secure a safe vantage point and revel in the fabulous views offered by Reynisdrangar. Still got time to spare? Brydebúð is a fantastic resource to answer any questions about your visit to the region. Pick up some local maps and brochures and get some great tips from the friendly staff. A getaway is a good time to relax and unwind. It's also the perfect time to jump into new experiences! Have some time on your side? Make your way to our Vik I Myrdal things to do page for a complete list of activities. 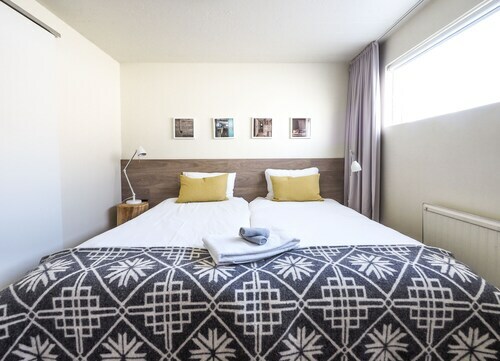 Unfortunately, you won't find many accommodations to pick and choose from in Vik I Myrdal. 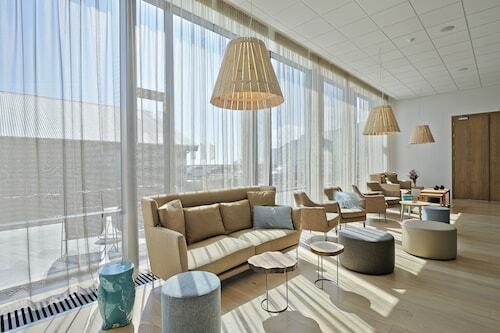 The Icelandair Hotel Vik (Klettsvegi 1-5) is the only Expedia-listed property nearby. The airport is rarely the most memorable part of your adventure, but there's nothing like the thrilling feeling of knowing that your trip to Vik I Myrdal is not long away! Once you touchdown at Vestmannaeyar Airport (VEY), you'll be 40 miles (64 km) from the center of town. Clamber over the arch and stacks of this cape extending over the ocean with outlooks offering views of fascinating landmarks of southern Iceland. 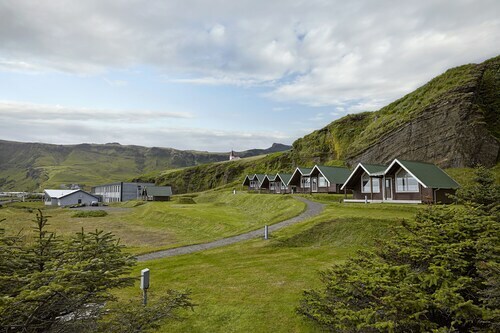 Situated by the ocean, this hotel is 0.3 mi (0.4 km) from Black Beach and 2.4 mi (3.8 km) from Reynisdrangar. Black Sand Beach and Dyrholaey are also within 12 mi (20 km). 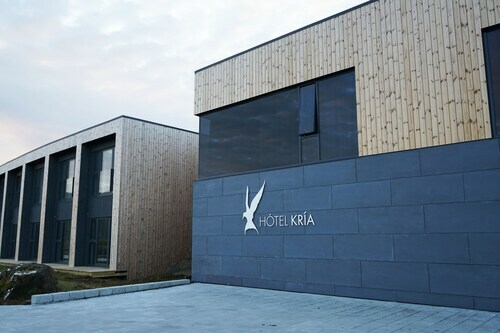 Located in the heart of Vik I Myrdal, this golf hotel is 0.1 mi (0.1 km) from Black Beach and 2.6 mi (4.2 km) from Reynisdrangar. Black Sand Beach and Dyrholaey are also within 12 mi (20 km). Situated in Vik I Myrdal, this hotel is 3 mi (4.9 km) from Black Beach and within 12 mi (20 km) of Black Sand Beach and Reynisdrangar. Skogafoss and Dyrholaey are also within 25 mi (40 km). Situated in Vik I Myrdal, this lodge is within 9 mi (15 km) of Dyrholaey, Black Sand Beach, and Black Beach. Reynisdrangar and Solheimajokull are also within 12 mi (20 km). 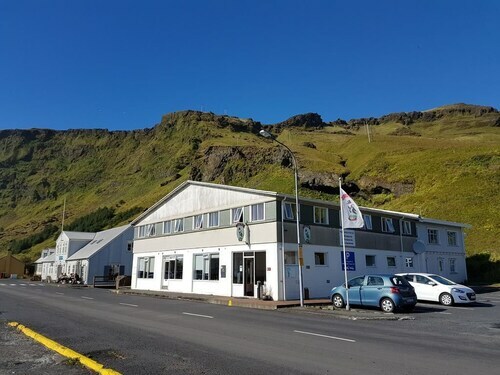 Situated in Vik I Myrdal, this apartment building is 2.4 mi (3.8 km) from Black Sand Beach and within 6 mi (10 km) of Reynisdrangar and Black Beach. Dyrholaey is 9.4 mi (15.1 km) away. 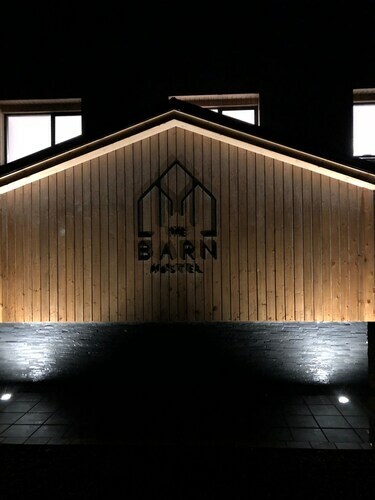 Situated in Vik I Myrdal, this hostel is 2.3 mi (3.7 km) from Black Sand Beach and within 6 mi (10 km) of Reynisdrangar and Black Beach. Dyrholaey is 9.3 mi (15 km) away. 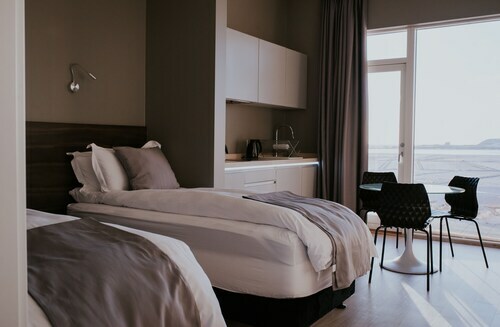 Situated in Vik I Myrdal, this hotel is 0.3 mi (0.6 km) from Black Beach and within 3 mi (5 km) of Reynisdrangar and Black Sand Beach. Dyrholaey is 11.2 mi (18.1 km) away. Situated in Vik I Myrdal, this guesthouse is 0.4 mi (0.7 km) from Black Beach and 2.4 mi (3.9 km) from Reynisdrangar. Black Sand Beach and Dyrholaey are also within 12 mi (20 km).